The warning letters, some written in partnership with the Federal Trade Commission, were sent to companies including Earth Turns, TEK Naturals, John Gray's Mars Venus, Blue Ridge Silver and Gold Crown Natural Products. The full list is available on the FDA's website. Products that were illegally marketed included green tea extract, fish oil supplements, bovine colostrum, melatonin and other supplements. Studies keep showing supplements — including popular choices such as multivitamins, vitamin D, calcium and vitamin C — aren't a substitute for a healthy diet and provide little if any benefit for healthy adults, but Americans keep taking them. "People are bombarded by the marketing for dietary supplements and they may not be fully aware of the lack of evidence for efficacy," Dr. JoAnn E. Manson, chief of preventive medicine at Brigham and Women's Hospital, told TODAY. 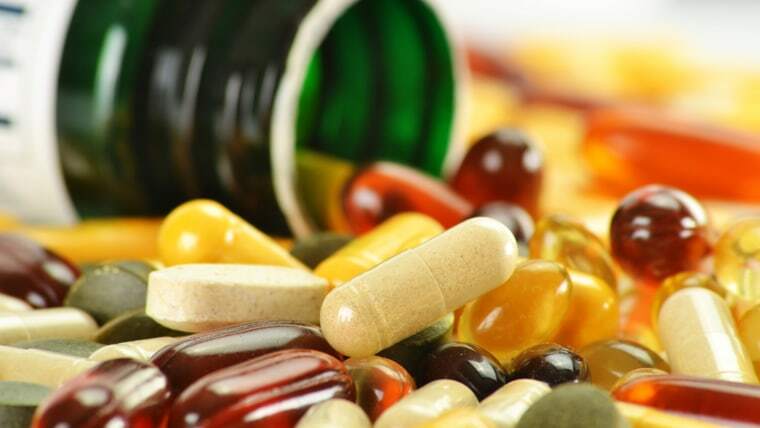 There are some exceptions: Pregnant women, infants, middle-aged and older adults and people with certain medical conditions can benefit from supplements. Three-quarters of U.S. adults and a third of children regularly take a dietary supplement, the FDA noted. The industry is now worth more than $40 billion, producing up to 80,000 different products, including pills, powders and liquids. "I've personally benefited from the use of dietary supplements and, as a physician, recognize the benefits of certain supplements," Gottlieb said. "Consumers need to have access to safe, well-manufactured, and appropriately labeled products." As part of that goal, the agency is creating a new “rapid-response tool“ to let people know more quickly when a supplement ingredient is potentially dangerous; looking into ways of being better notified when the industry develops a new dietary ingredient; has created a Botanical Safety Consortium, which will look at better ways to test the safety of supplement ingredients; and continues to take action against illegal products. The Council for Responsible Nutrition, the trade group for the supplement industry, praised the FDA's "enthusiasm for rooting out bad actors who put consumers at risk by spiking products with unapproved ingredients or drugs." "We welcome additional enforcement actions to bring to justice those who would cynically trade on the halo effect of responsible industry to make a quick buck while ignoring the safety and health of consumers," said Steve Mister, president and CEO of CRN, in a statement.